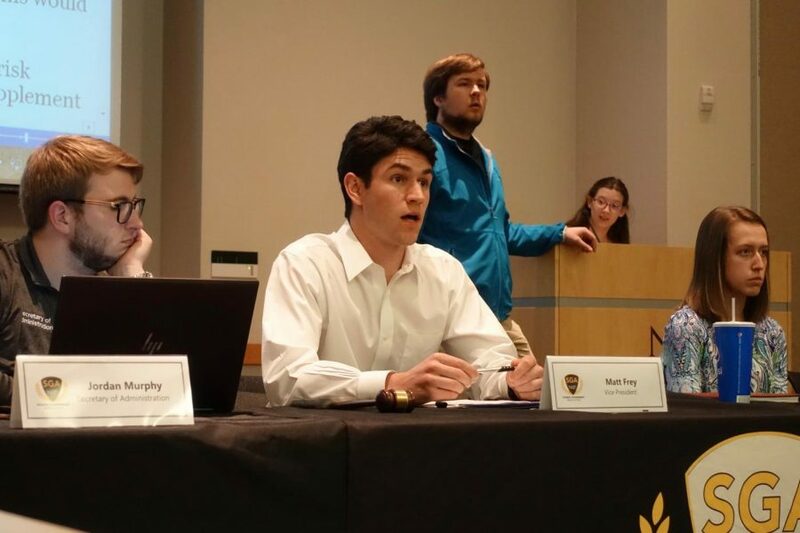 Student Government Vice President Matt Frey addresses senators on April 8, 2019. Student Government Association Vice President Matt Frey began Monday’s meeting in President Hannah Edelen’s absence as she attended a special meeting with the Board of Regents. Chief of Staff Jake Anderson presented the first readings of three resolutions. Senator Kimberly Sparks joined Anderson to present the first reading of her resolution requesting a focus on sustainability through partnerships and efforts on campus. According to Sparks, NKU has been put through strenuous budget cuts in recent years that have forced the university to cut back on programs and departments throughout campus—including efforts in sustainability. “It’s living in a sustainable way and having our university to survive for years to come,” Sparks said. “[This is] more of how we’re going to get funds, rather than how we’re going to use them,” Noel said. Committee Chairman of Academic Affairs Jarett Lopez finished off resolutions with his first read through of his resolution requesting creation of an LGBTQ-oriented program of study. According to Lopez, the new program would require hiring additional instructors and making new courses available for those minoring in the program. Following the resolution readings, President Hannah Edelen joined the Executive Cabinet during Chief Justice Travis Roy’s presentation of an update to the NorseEngaged bylaw. The bylaw proposes that the Chief Justice, along with the Judicial Council, shall maintain the NorseEngaged program and that the program shall focus on civic engagement and civic discourse through deliberate communication with state and locally elected officials. “This basically lays the groundwork of the program,” Roy said. 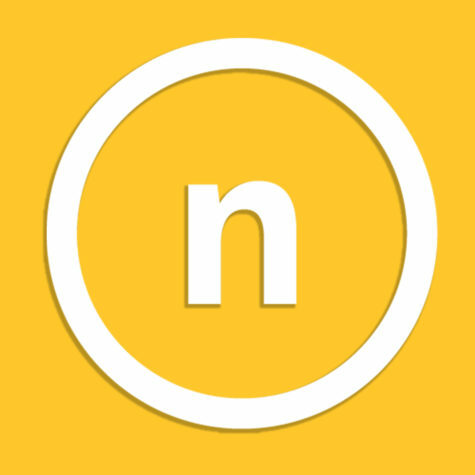 NorseEngaged is a special application available to members of SGA.